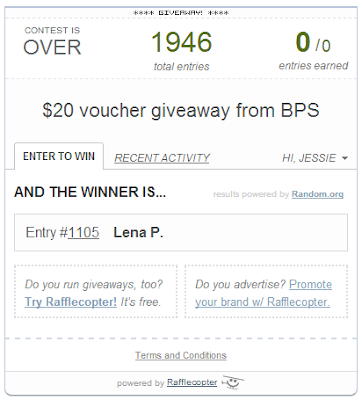 I'm a bit late posting this - the winner replied almost instantly to her email and I kind of forgot to post about it! So sorry! 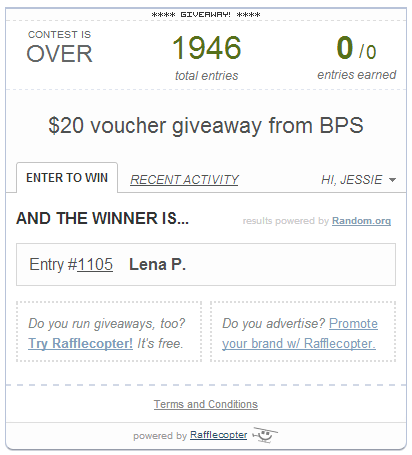 I had updated the giveaway post, at least :D.
Congrats to Lena! She's got her voucher, and was a lovely, friendly winner to correspond with. Sorry to those that didn't win - better luck next time!